China ranked as the world's fifth largest producer of macadamia nuts during the 2018 season, and is poised to become the world's largest producer by 2022, according to a Chinese industry executive who was citing data and from the International Nut and Dried Fruit Council (INC) and expert presentations at the 2018 World Nut and Dried Fruit Congress. XU Wei is the chairman of Yunnan province China-based Sino-Australian Agricultural Technology Development Company (江城中澳农业科技发展有限公司), which has more than 1,600 hectares of macadamia plantations in three locations (Simao, Lincang and Dehong prefectures) in Yunnan, and has also invested in processing facilities and domestic sales and distribution capabilities. While speaking at the China International Tree Nuts Conference 2018 earlier this month, Xu said that Yunnan province's macadamia production is expected to be 16,000 to 20,000 tons of nut-in-shell (NIS) macadamias in 2018. 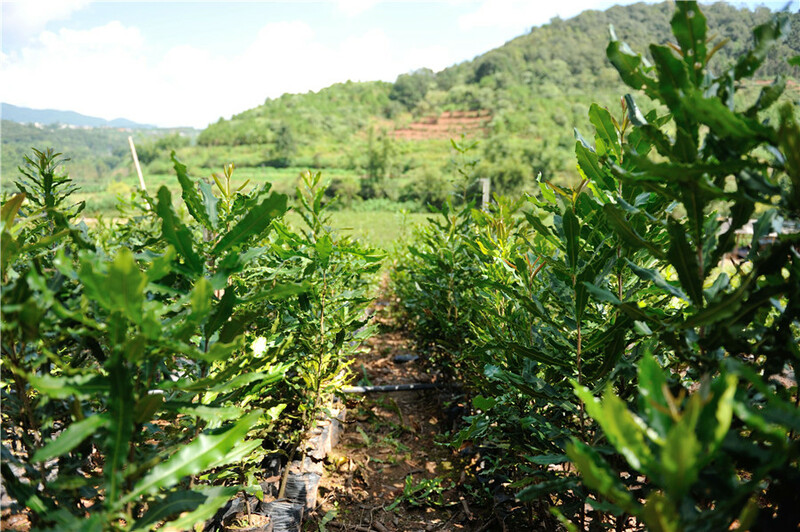 Plantation of macadamia trees in China is mostly concentrated in Yunnan and neighboring Guangxi Autonomous Region. Xu went on to predict that China's national macadamia production will reach 190,000 tons NIS by 2022—about half the predicted global total. Why the predicted sudden increase in output? It is the result of a boom in planting of new trees in the past several years. Last year, Xu reported that by 2015, China accounted for 57% of global macadamia plantation. When production from those trees—and trees planted in the intervening years—comes online in earnest, it will lead to a huge rise in output. This rise in domestic supply should be of some concern to producers in Australia, for which China is the leading export market, accounting for 36% of Australian macadamia exports in 2017, according to INC. However, as pointed out by Xu and others, the Chinese industry faces a lot of problems. These range from poor variety selection and orchard management practices, to fragmented production located mainly on steep hillsides, and ranging all the way through to a lack of modern processing facilities. (SAMAC has produced a good on-the-ground report of tours of Yunnan orchards, available at their website). Overall, the quality of Chinese macadamia nuts is still low, says Xu. Therefore, despite a potentially bright future as a global leader in the macadamia industry, China still has a way to go in closing the quality gap.